This generation of consoles is just getting started, but, so far, there haven't been too many surprises. Reorganizations of vision aside, things have largely gone as expected since last year's big console unveilings. One thing caught me off guard, though. Have you noticed how big patches are? 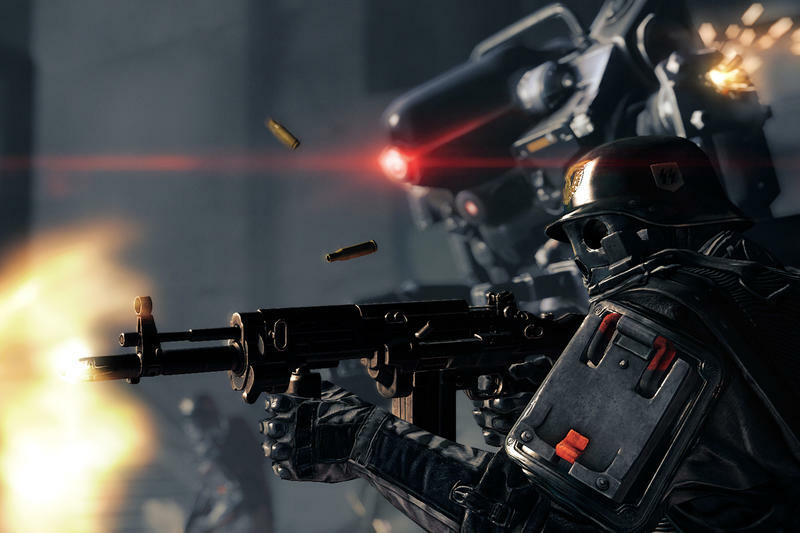 Wolfenstein: The New Order, which comes out this month, has a 7GB day one patch on one console. Forza Motorsport 5 had a 6GB patch that was required to play it. Dead Rising 3 had a 14GB patch just a month and a half after release. These patches are bigger than the previous generation's entire games. This isn't cleaning up code or fixing minor functionality issues, this is modifying massive parts of games. This is delivering the passenger seats a month after I bought the car. What's going on? Patches aren't bad in and of themselves, but patches like these bring with them more problems than benefits. Patches: What Are They Good For? Software design and coding are done, primarily, by humans. As such, any piece of software is rife with problems. Some of them come in the form of unexpected exploits, others are just a matter of things not working the way the developer intends. This isn't anything specific to games as anyone with a computer can attest to (That's you). Patches can help stabilize, secure, and perfect a piece of software. With how pervasive broadband is, that can be done relatively quietly and quickly for most users. This is also a boon for developers on tight deadlines. If your game is, for example, the headlining launch title on a brand new console, you have a hard deadline to hit. Despite a developer's best efforts, it might take longer than intended to finish a game. It's just a reality of any combination of humans, money, and time. Developers can send a game off for certification, though, and then keep working, polishing some last minute stuff that would've previously pushed them over the deadline. This makes, we'd hope, for fewer delays. That also means less risk for the publisher. Despite what a patch might mean to the consumer, to the publisher and investors, it helps make everything look like it's happening on time. The game publishes on schedule, money starts moving around on the right day, and everyone wearing a tie is happy. Patches aren't always as advantageous from our side of things, though. Sure, a few megs here and there isn't a problem. That's expected. It doesn't take long for most of us, and it helps improve the game. You won't find many players complaining about random patches like those. But lately, day one patches have been growing out of control. We're talking about patches that would take up entire DVDs if we could install them from discs instead of Internet connections. Sure, even a patch of a few gigs might not mean much in the grand scheme of things. Making me wait an extra hour before I spend 40 in Assassin's Creed really isn't a big deal, if I'm keeping things in perspective. That's not a huge wait. But for years with, few exceptions – Metal Gear Solid 4's install time comes to mind – we've had the expectation that when we pop a disc into our systems or slot a new cartridge, we'll be playing the game – or at least watching the opening cutscene – in minutes. With this new generation of consoles, though, we have to schedule a time to get the game into the system and then find something else to do while it patches. I shouldn't be finishing entire sections of a book while I'm waiting to play a game. Even if these patches are free, they make the game look unfinished to those of us on the buying side of the equation. Did the developer not plan the development process out right? Aren't they supposed to be professionals at this exact thing? Aside from how it might make us feel, there are some more practical problems with these gigantic patches. Not all Internet connections are created equal. If you're fortunate enough to live in a big city with access to 60 Megabit cable or 100 Megabit fiber, then patches are merely an inconvenience. What if you live out in the sticks? You're already bored because, let's be honest, going outside is the worst. Everything outside is just horrible. Including the wire that brings the world into your house via your cable box. If you live out that far, your Internet connection might be limited to 4 Megabit – that's the FCC's definition of broadband as of 2010. It might be even slower and fit the previous definition, which was "faster than dial-up and always on." Until just a couple years ago, I worked for a business ISP that put connections in some pretty far out locations, and 1.5 Megabit was still very much a reality. Assuming you gave the download on the patch for the game you just got in the mail full access to your Internet connection, your sister wasn't trying to Skype with her BFF (that's what teens do when they're not texting, right? ), and the connection didn't drop, a 7GB patch over a 1.5 Megabit connection is going to take most of a work day. Even if your Internet connection is zippy, there's another problem: The transfer cap. That pesky monthly limit on how many 1s and 0s you're allowed to get from the Internet. American ISPs have been instituting transfer caps as a way to avoid spending money (better used for making forts out of) on expanding their network capacity. Comcast's caps of 250GB or more are, really, more than enough for most people. Most people aren't buying multiple games off Steam, PlayStation 4, and Xbox One's digital marketplaces in a given month in addition to all the streaming and less savory uses. Even so, it's still an inconvenience for those of us fully immersed in the digital age. Then there are other parts of the world. In New Zealand, for example, transfer caps are very much a reality. Most of the Internet is – surprise – not in New Zealand, and international data costs money. As a result, New Zealanders aren't allowed to just download the entire Internet. Transfer caps are slowly growing there, but it still costs about $70 US to get 80GB of download over a 13 Megabit ADSL. These kinds of limits make downloading games entirely out of the realm of reason, and even a patch like the Dead Rising 3 update we talked about earlier is going to bite a huge chunk out of a cap like that. A slower Internet connection might not stop someone from playing multiplayer, but a patch too big for their internet connection or transfer cap to handle definitely will. There are a few causes for why patches are so big, and none of them are good. Some games are just plain unfinished. Forza Motorsport 5 was playable while the 6GB day one patch downloaded, but the patch was required to continue playing the game. We haven't yet found a game that is entirely unplayable without a day one content patch, but it feels like it's only a matter of time. Here's the one that really sticks in my craw though: DLC being integrated into patches. I'm not sure how often this is happening, but it's a very real thing. Peggle 2, for example, recently had a 2GB patch that added in the fairly simple duel mode. More importantly, though, it also included all the data for the new downloadable content pack. Our own Joey Davidson, TechnoBuffalo's Senior Gaming Editor, verified this when he purchased the DLC and the content unlocked instantly. Peggle, that shifty trickster, isn't the only game guilty of this. That massive Dead Rising 3 patch included "content for DLC episodes 4 and 5," according to the patch notes. If it's happened with two games already, then it's not an isolated incident, it's something that happens. So then what about a heavily multiplayer game like Titanfall or Call of Duty? How long will it be before we have to download a 5, 10, or 15GB patch – which includes DLC you might not want – just to be able to hop into a multiplayer match? Developers are enjoying the freedoms provided by this new console generation. Broadband is more a guarantee than ever and every console has a massive hard drive. Unfortunately, that doesn't account for a lot of their gamers. Developers need to start thinking about these limitations when they patch. They need to stop including DLC in patches, even if it makes the process of buying the DLC look smooth. As for us? We need to complain. Let the developers and publishers know. This might be a totally first world problem, but games should be as accessible as possible for the people that want to play them, and allowing for a variety of internet connection types is part of that.